Pompeii, one of the most famous archaeological site in the world, a must to be visited when you arrive in the neapolitan riviera. It can be easly reached either from naples or from Sorrento coast. Visit at the ruins are organized by us directly or by our partners, we offer small group tour and private services. Customers can choose from a shared guided tour or a private excursion, by land/bus or even by boat, yes we have a tour to take you there by a shred boat tour from Sorrento, we will stop in Castellammare harbour and then drive you by bus or minivan directly to the ruins. Once there the guide will take you inside, possibly with a skip the line advantage, to start a unique experience immersed in what once was a city with elegant houses and elaborate villas along the paved streets, full of small factories and artisans’ shops, taverns and cafes, and brothels and bathhouses. After the eruption of the vulcano in in 79 A.D., the city was completely destroyed and covered by the ash. One of the most famous archaeological sites in the world, starting from the ruins and then proceed by bus to the crater of Vesuvius at 1000 meters; here you’ll enjoy an amazing view of the Bay of Naples so if you’re visiting Campania Region you cannot miss it. Return to Sorrento in the afternoon. 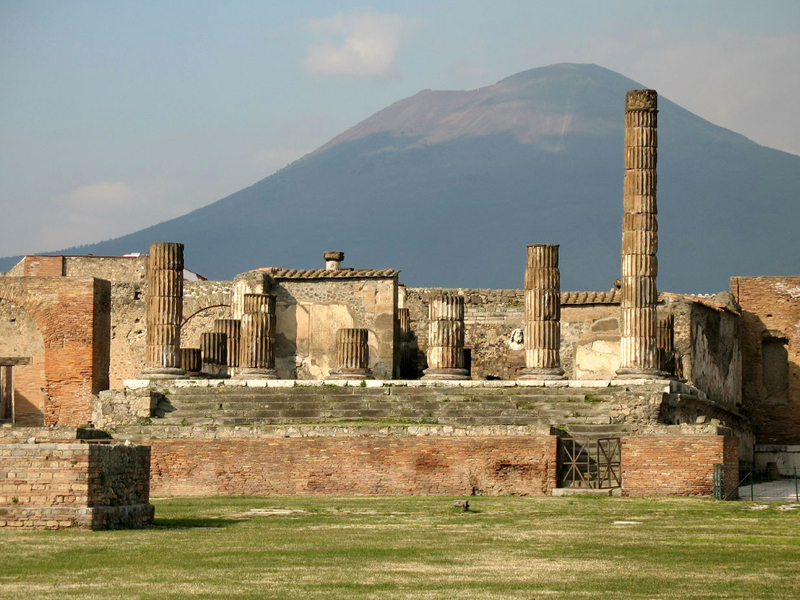 Forgotten for hundreds of years Pompeii was buried under a layer of ashes and lapilli in 79 a.D. in the Vesuvius Eruption. It is today the second most famous archaeological site in the world so if you’re visiting Campania Region you cannot miss it! The excursion will start with the visit of the ruins that will last about 2 hours, we’ll then proceed by bus to Mt. Vesuvius stopping at 1.000 metres and continuing by foot to reach the crater; from the top you’ll enjoy a breath-taking view of the Bay of Naples.